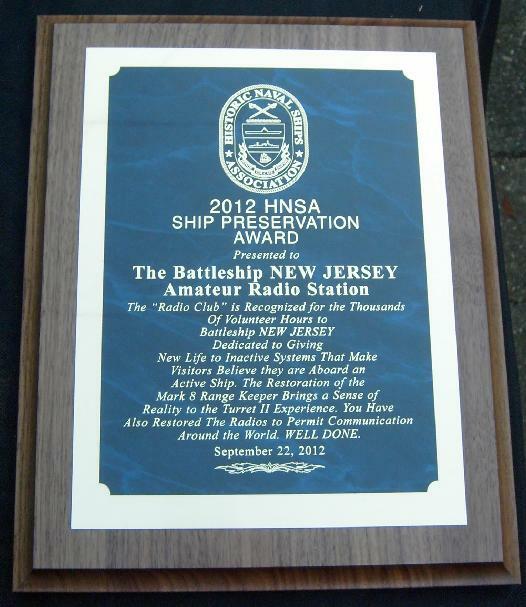 The mission of the Battleship New Jersey Amateur Radio Station (BNJARS) is to provide an educational and recreational organization whose purpose is to support the Home Port Alliance in providing technical expertise, skills and volunteer manning to promote attendance by the public, communications education for the public, and worldwide publicity for the USS New Jersey through Amateur Radio. We are an ARRL Affiliated club. BNJARS is a separate, non-profit organization affiliated with, but independent of local Delaware Valley radio clubs and the Home Port Alliance. It is open to any interested individual, especially local veterans who served on the USS New Jersey or other battleships. An amateur radio license is not required to join. The next general Membership Meeting is scheduled for 10AM, on Saturday Feb 9. 2019. Subsequent meetings will follow the schedule called out in the Bylaws, with General Meetings scheduled for the second Saturday of February, May, September, and December. Meeting location is in the Distance Learning Room on the second deck. NOTE: Beginning in February 2014, NJ2BB contacts will be uploaded to LOTW the first week of the month. With postage going up again, we thought this might be helpful to everyone.